anynode® and the XCAPI are two powerful stand-alone software products which represent a high level of compatibility in their application areas. Together they are a winning team. To use anynode® and XCAPI in one project is possible and useful! And this is how it works: anynode® and XCAPI have to be installed on the same computer. Your application always communicates with XCAPI and XCAPI communicates via a permanent SIP connection on the local computer with anynode®.  And anynode® establishes the connection to a provider or to your PBX. Simple and good! In case that the XCAPI by itself does not connect with a special provider or PBX, anynode® is able to connect almost every standard on the market. The high interoperability of anynode® to most PBX’s and providers makes this possible – for example to Microsoft Lync. If the used PBX does not support real call transfer, anynode® and XCAPI together are able to implement a highly optimized call transfer instead of using the simulated call transfer of the XCAPI. Because anynode® and XCAPI together optimize the media flow with the effect of path replacement for media channels and in most cases for signaling channels as well. The team allows more: of course, multiple registrations are possible by using the XCAPI, but with the additional installation of anynode® you can enhance these multiple registration possibilities. This makes anynode® and XCAPI a winning team which gives you the highest level of flexibility. Multiple registration on different remote stations – no problem for anynode® and XCAPI. Together anynode® and XCAPI are routing your calls exactly where you want them. Manipulation of call numbers and routing are easily performed by our product team of anynode® and XCAPI. The combination of anynode® and XCAPI makes it a piece of cake to connect via complex codecs as for example the internet codec OPUS. Wherever XCAPI reaches its limits, anynode® supplements impressively in order to connect using complex codecs – quickly and easily. In pure SIP environments, which become increasingly common, anynode® functions as a conventional Session Border Controller – besides all the other mentioned advantages.